Drunvalo Melchizedek comes to us from a place beyond all Universes. As he put it " When you reach the first overtone of the 144th Dimension you have a choice. You can merge with the eternal All, or you can come back to help where needed." Drunvalo vounteered to return and was given the assignment of assisting this planet Earth and those interested in Ascension. Under the guidance of the Ascended Masters, he has been sharing this knowledge in various forms since the 1980's. Awakening the Illuminated Heart is the most recent presentation of this work. ​​He has written four books including The Flower Of Life Volumes 1 and 2, Living in the Heart, Serpent of Light Beyond 2012 , and The Mayan Ouroboros. 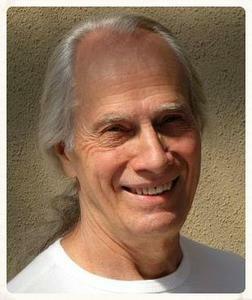 He lives in Sedona Arizona with his wife Claudette, one of the rare practitioners on Earth of the Blue School Work.